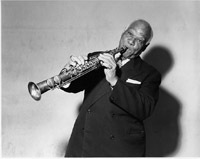 Baby Won't You Please Come Home is usually attributed to both Charles Warfield and Clarence Williams, though after the song was an established standard Warfield claimed to have penned it alone. No one who knows anything about the music business—then or now—would find that claim unlikely or shocking. A songwriter doesn't make money on a song unless it has been placed with the right artists and, at least back then, printed and widely distributed as sheet music. Those functions are the role of the music publisher and Clarence Williams, in addition to being a musician himself, excelled at them. A publisher is always due a percentage of the royalties to a song (typically 50%) but if that doesn't seem enough (and when does it ever?) he can insist on a composer's credit as well, upping his share of the royalties to upwards of 75%. Nice work if you can get it. Bessie Smith was a rough, crude, violent woman. She was also the greatest of the classic Blues singers of the 1920s. Once Smith had had her inimitable way with it, the song made it to #6 on the charts. It was to chart twice more within just the next nine years and has since then been recorded by many and varied artists. 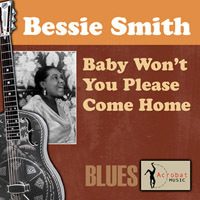 Here's a bit of the Bessie Smith recording that really got this song rolling our way down through the decades. If an early New Orleans-style Jazz outfit included any fretted instrument at all it would most likely have been a plectrum (4-string) banjo. In the 1920's that instrument largely gave way to the tenor guitar, a 4-stringer tuned like the banjo, in fifths, which made the transition from one instrument to the other relatively easy. When the tenor guitar gave way in turn to the 6-stringed variety, some guitarists retained the tenor tuning on at least four of the strings either because they prefered the sound or, again, because it was what they already knew. 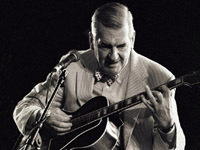 Some players of the era—the great Carl Kress, for example—traced the entire arc of this shift in preference, playing banjo, then tenor, then 6-string guitar over the course of their careers. 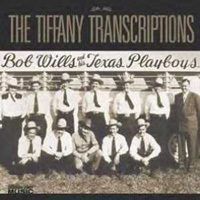 A "transcription" was a 16” 78 RPM acetates that an artist would take into the studio and perform their show on, often with recorded commercials for their sponsor. These discs were then licensed to radio stations so that they might have marquee artists on their station.